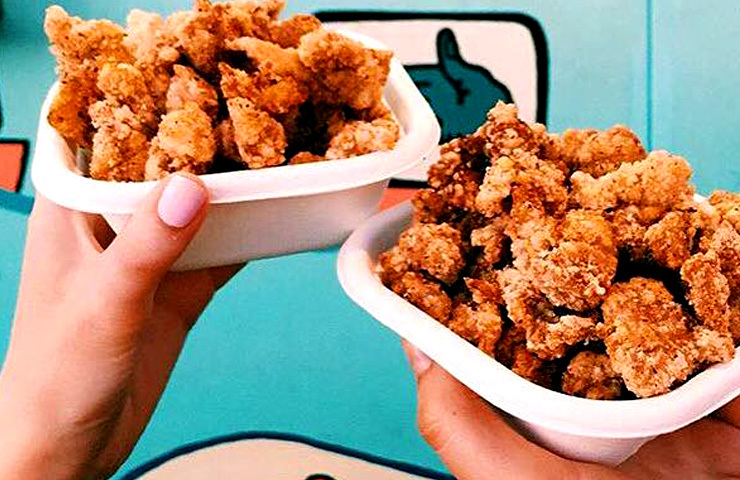 When it comes to dining trends the one thing on everyone’s minds right now (and stomachs) are food trucks and their ability to keep you coming back for more (seriously though, why are they so damn addictive). What has quickly become the ‘new black’ of the food world, food trucks ensure you get restaurant quality food in record time, with the added bonus of an Insta pic thrown in for good measure. 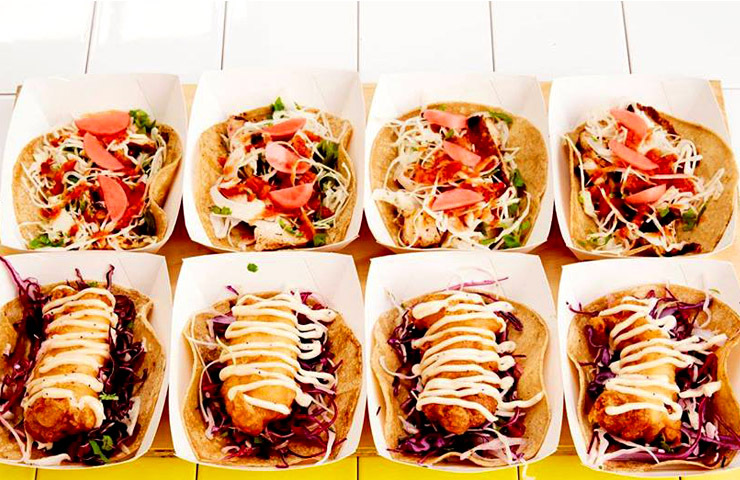 Representing a new and fresh way of dining, food trucks have been rolling out and serving up some seriously good nosh all over Melbourne and we’ve done the research to find you the best ones and where you can find them. Lunch will never be the same again. Grab your burger buddy and come check out this vegetarian food truck that’s serving up mushroom and halloumi burgers. Did you hear that mushroom-aholics?!? A mushroom burger. Feel like something a bit more? Add a side order of chargrilled corn and your body will be thanking you for eating so healthy, allowing you to have the block of chocolate you’ve been stashing in your cupboard for the past 2 days. We’ll say HOLA to a truck full of tacos any and every day of the week! Taco Truck, changing the stereotype that you should be wary of Mexican street food for fear that you’ll spend the next 24 hours with your head over the toilet bowl, one taco at a time. Offering chicken, fish and bean tacos as well as lots more, this truck promises to have you fed and happy and that’s all we really want in this life. And to be honest, we can’t think of a better way to brighten up our Wednesday then a taco or 5. But who’s counting right? We don’t want none unless you got (Mr. Burger’s) buns hun…. 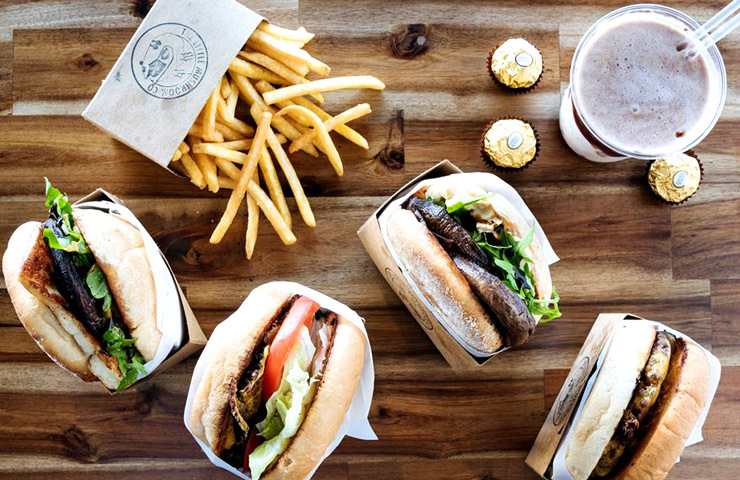 Arguably the most successful food truck driving ’round because of their chain stores located around Melbourne, Mr. Burger has been bringing burger decadence to the streets since 2012. 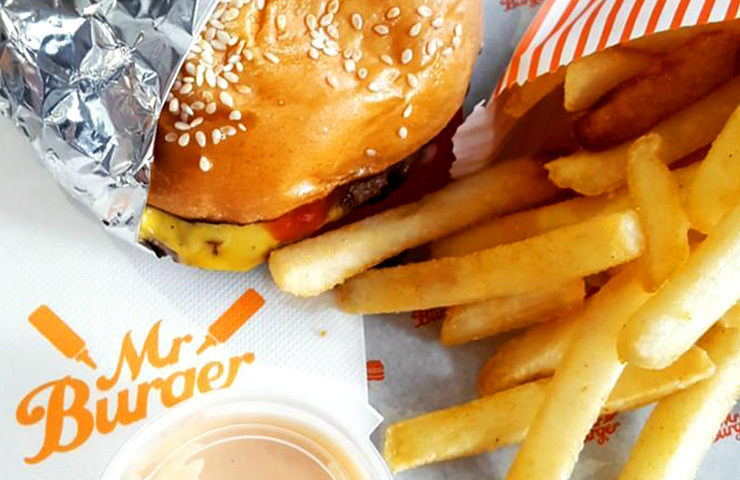 What started out as a dream has now grown into a burger empire with Mr. Burger offering 6 different styles of burger, including a vegetarian option, sides like ‘trucker chips’ and ‘pizza chips’, as well as milkshakes and soda. Sounds like a challenge we’d be willing to take on. All we can say is thank god there are heaps around so you don’t have to get to the point where all the staff know the results of your dad’s blood test and what happened on Alice’s date last weekend because you keep going back day after day after day…..
Give up carbs? Over our bread body! Starting in 2014, Toasta & Co. may just be the best thing since sliced bread, serving the good old fashioned toastie to the people of Melbourne. 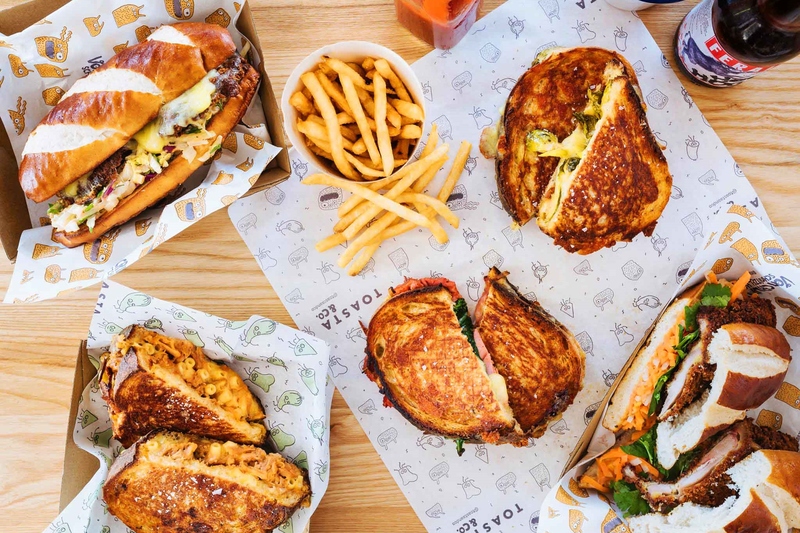 Priding themselves on creating meals that will warm even the coldest of hearts with combinations of dreamy and feel-good flavours, eating from Toasta & Co. is sure to have you wanting to hang your head out of the car window and feel the breeze. This ‘sandwich pressery’ takes the finest produce and offers sandwiches with ingredients of pickles, Mexican beans, tuna and pulled pork (not all together though). With a staggering 8 choices of combinations to choose from, no matter your choice of poison, Toasta & Co. has put it between two slices. Oh stop it, you’re making us melt (and extremely hungry). Just. Real. Ice cream. YES PLEASE. 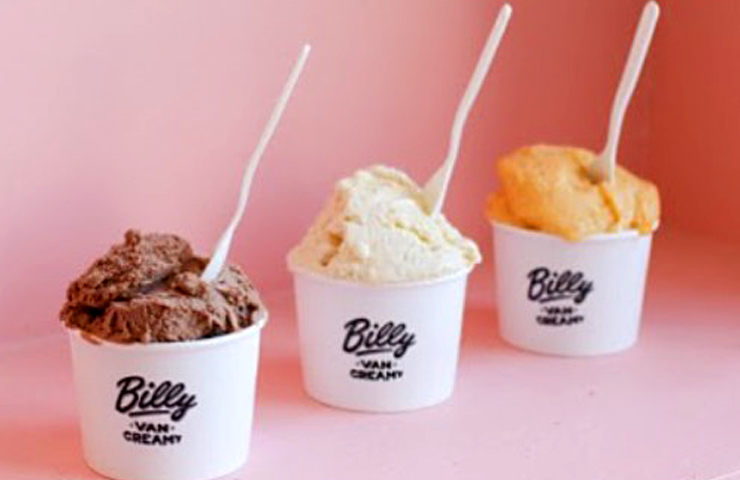 Billy Van Creamy prides itself on making the creamiest, thickest natural ice cream on wheels, making everything in house from the highest quality ingredients. With the goal to bring people the childhood joy of eating ice cream (but with some adult sophistication found in the flavours), Billy Van Creamy hits the nail on the head when it comes to icy desserts. Offering all the classic flavours such as chocolate, salted caramel and vanilla bean, and some new creations such as macadamia & honey, matcha and plum sorbet, this truck really does have us screaming… for more! If there’s one thing we know for sure, it’s that this is one ghost you’ll actually want to be friends with. Ghost Kitchen, with the sense of duty and respect for the traditions of Taiwan, has emerged as one of the more popular food trucks in recent times because of its dedication to offering authentic Taiwanese cuisine in a street food way, that is healthy and nutritious. Send your tastebuds on a holiday with the ‘salt n pepper popcorn chicken’, the vegetarian dumplings or their specialty, the Taiwanese pancake, and we promise you won’t be disappointed. So if you’re sitting at home having one of those days where you’re so hungry it physically hurts but also can’t be bothered lifting yourself off the couch, let alone cooking a meal, we’ve got the solution. Who you gonna call? Ghost Kitchen. Well, at the very least, UberEATS. Now for something sweet and this one’s a cracker. 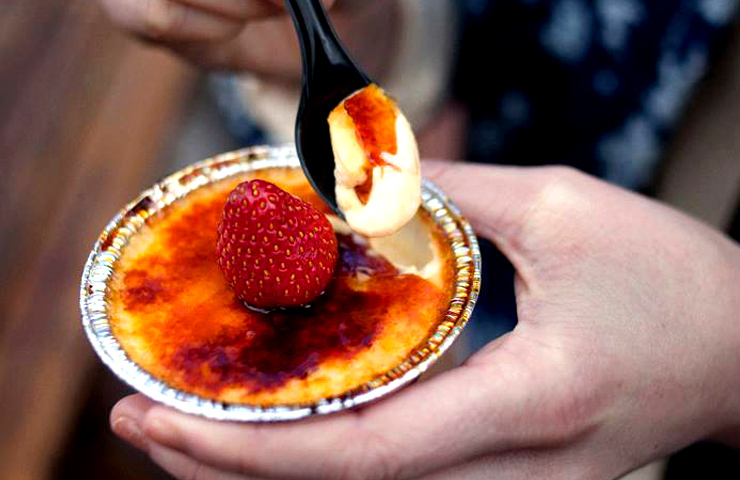 Torching the competition since 2013, The Brulee Cart regularly attends night markets and festivals all over Melbourne with their range of desserts, including a seasonal menu that changes with the weather. Using fresh ingredients, this truck knows how to keep the customers coming back for more (including us) with their classics, the traditional vanilla bean, salted caramel or lavender & honey. We’re not drooling, you are. And remember there’s always room for at least one serving of dessert. Okay, okay, maybe 2.